Dee Kaszuba Peter Conners, Thom Ward, and Nora Jones (left to right) make up the spine of local poetry publisher BOA. Today you can find any book or magazine you could ever want at your local mega-bookstore --- if you didn't already buy it online. There's little question that small, independent publishing houses didn't exactly hit the jackpot with the rise of the Waldens and Barnes & Nobles of the world. But Thom Ward, fiction editor at Rochester publishing house BOA Editions, suspects the shipping industry may have. Independent presses and independent bookstores --- which grew side by side in the arts-happy '60s and '70s --- enjoyed a symbiotic relationship until the big box bookstores really hit their stride in the '90s. These, as Ward says, weren't run by "book people." "People get enthusiastic and they didn't understand that you do not order 500 copies of an unknown Spanish-American poet right off the bat," he says. "Returns skyrocketed and the only people that won were UPS and FedEx." Twenty years after Barnes & Noble went national and five years after the Amazon-Borders partnership, BOA is still in the fight for shelf space in bookstores large, small, and online. 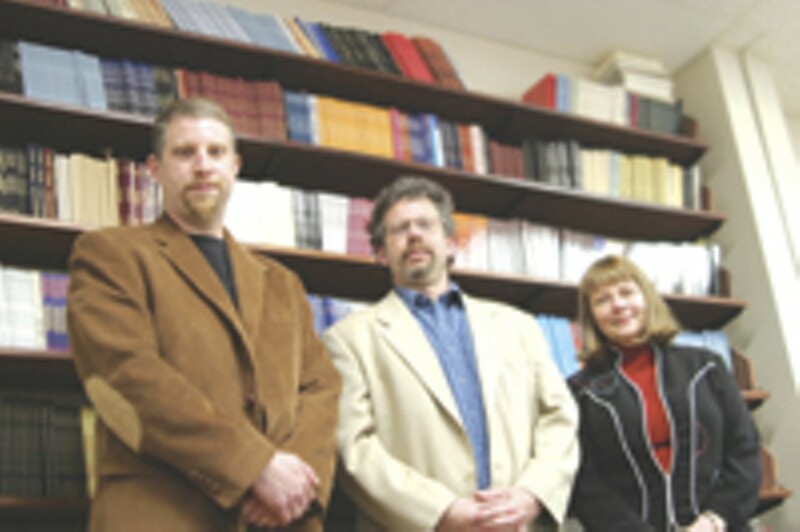 The not-for-profit poetry publishing house was founded 30 years ago by Al Poulin Jr., a poet and SUNY Brockport professor. (He got BOA by combining Al with Boo, his wife's name.) He started the press in the mid-'70s, when a lot of other people across the country were having similar ideas. Independent presses were springing up alongside arts organizations of every type; liberal arts departments were being formed at universities nationwide; and organizations like the National Endowment for the Arts and New York State Council on the Arts had recently been organized to help move all this artistic process forward. But in the intervening 30 years, most of the small poetry presses across the country have died out. Streams of arts funding have dried up. Poetry publishers, much like theaters and symphonies and art museums, are watching their audiences get older and, maybe, smaller. But BOA remains, "a band of stalwarts above Arena's," as Ward says. Peter Conners, BOA's marketing director and fiction editor, says longevity comes with adaptation. "What worked 20 years ago doesn't work necessarily anymore," he says. "You want things that are timeless and can still be read 50 years from now, but they should be authentic from the place that we're in." Conners talks about adding diversity to the booklist. He also talks about staying in touch with the poetry community, keeping BOA's website fresh and interactive, engaging the community, and fundraising. "These are constant adaptations that have happened over 30 years," he says. "Without those, the organization doesn't keep going. That takes staff, and board, and readers... everybody getting together and saying, 'What happens in this office is significant because it's forwarding an important American artform.'" BOA receives about 1200 manuscripts a year, and it publishes only a small fraction of those (170 in its 30 years). But it can certainly brag about quality. Among its poets are several award winners and finalists --- big awards, like the National Book Award and the Pulitzer --- and names even the uninitiated may recognize: W.D. Snodgrass, Lucille Clifton, Li-Young Lee, Brigit Pegeen Kelly. But even with big names, there aren't exactly riches to be had in this business. BOA earns 20 cents on the sale of each book. And it's constantly vying for shelf space and readers. Walk into a Borders or a Barnes & Noble and look for the poetry section. You'll find it, eventually. But it probably won't be big, and it won't be next to the chick lit or the thrillers up front. "People in Rochester don't know what BOA is," says newest addition, Executive Director Nora Jones. "People don't go into a bookstore looking for BOA books." They're working on that. When time and resources allow, BOA hosts poetry readings and other events at schools, museums, bookstores, libraries, and sometimes board members' homes. The company is also publishing two books in the near future with strong Rochester ties: Breaking the Alabaster: Conversations with Li-Young Lee edited by Brockport's Dr. Earl G. Ingersoll and Body Language: Poems of the Medical Training Experience compiled by the University of Rochester's Stephanie Brown Clark. And BOA works with Rochester businesses whenever possible: a typesetter, a stationary printer, computer supplier, and book designers are from the area. BOA's electronic Visual Arts Library allows poets to choose work created by Rochester-area artists like Christina Parrett Brinkman, Steve Carpenter, Tarrant Clements, Lynne Feldman, Richard Harrington, Roberto Lébron, Robert Marx, Rick Muto, Lucinda Storms, and Patricia Wilder for their book covers. And in terms of charity, BOA gives of what it has: books. BOA's distributor and warehouse is in Minnesota, and storing books that don't sell is expensive. Rather than mulch them, BOA will send them to any prison, school, or Indian reservation that asks. They're happy to do it, because, as Conners and Ward say, poetry should be part of everyday life. "I've done informal studies," Ward says. "Some were traumatized: 'Stand up and give me Edmund Spenser's Faerie Queene on pain of death.' Then they go to a Billy Collins or Naomi Nye poetry event and they say, 'This is poetry?'" In BOA's 30th anniversary year, there will be several special events. Check www.BOAeditions.org for info on readings, parties, and, of course, BOA titles.